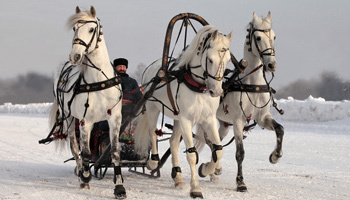 “Troika” is a traditional Russian harness driving combination, using three horses abreast, usually pulling a sleigh. 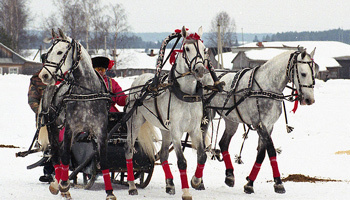 At full speed a Troika can reach 45–50 kilometres per hour (28–31 mph), which was a very high speed on land for vehicles in the 17th–19th centuries, making the Troika closely associated with the fast ride. 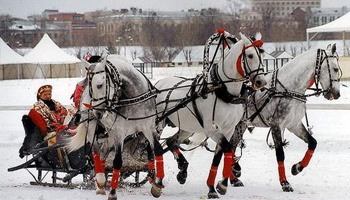 Included 20 minutes riding in Troika through the brights snowbound parks of St.Petersburg.